Apple Macintosh Disk. 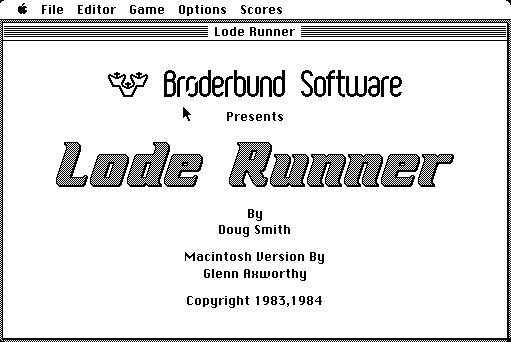 published 35 years ago by Broderbund Soft., Inc.
Lode Runner © 1984 Broderbund Software, Incorporated. Classic Macintosh port of the Apple II original. Also includes the levels from 'Championship Lode Runner' as well as 'Revenge of Lode Runner', which are much more challenging. Related Coin-Op video game: "Lode Runner"